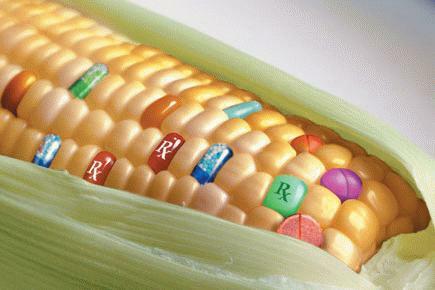 The Commission has approved the use of the highly controversial GM maize MIR 162 in food and feed. The Commission bases its decision on the heavily criticised study by the European Food Safety Agency; there is a broad consensus in the media that the health impact of genetically modified foodstuffs cannot be calculated. several decades — can really be ruled out? 2. Is the Commission aware of this? 3. With this in mind, were long-term studies carried out when preparing the opinion? — If so, how many, what was their scope, what scientific methods did they use, over what period were they carried out, and what were the results? — If not, why not, and how in that case can the authority substantiate its claim that the plant in question (GM maize, type MIR 162) does not have any harmful effects on health? 1. The EU GMO legislation provides that GMOs can only be authorised when assessed as safe for human and animal health and for the environment. Consequently, the very strict authorisation procedure includes a thorough assessment by the European Food Safety Authority (EFSA) of the potential risks — including long-term effects — of the GM products, based on best available scientific data. As regards the maize MIR162, the EFSA’s opinion which was subject to an open consultation phase concluded that MIR162 is as safe as its conventional counterpart as regards potential effects on human and animal health and the environment. 2. The Commission is aware that a number of peer-reviewed long-term studies have already been performed on GMOs, as indicated in a paper published in April 2012 in the Food and Chemical Toxicology Journal. This paper reviewed 12 long-term feeding studies going from 182 days to two years, and 12 multigenerational studies (from two to five generations). Furthermore, the EU has been funding several research projects on safety of GMOs under its Research Framework Programmes. Latest examples are the projects GMSAFOOD (1) and GRACE (2), which specifically concern the conduct of long term toxicity studies. 3. The application file of MIR162 contained a 90-day feeding study on rats, which did not show up any sign of toxicity of the product (3). Based on the result of this study and other data presented in the application, EFSA has not identified the need to request further investigation on the toxicity of the product, for instance via a long-term study.